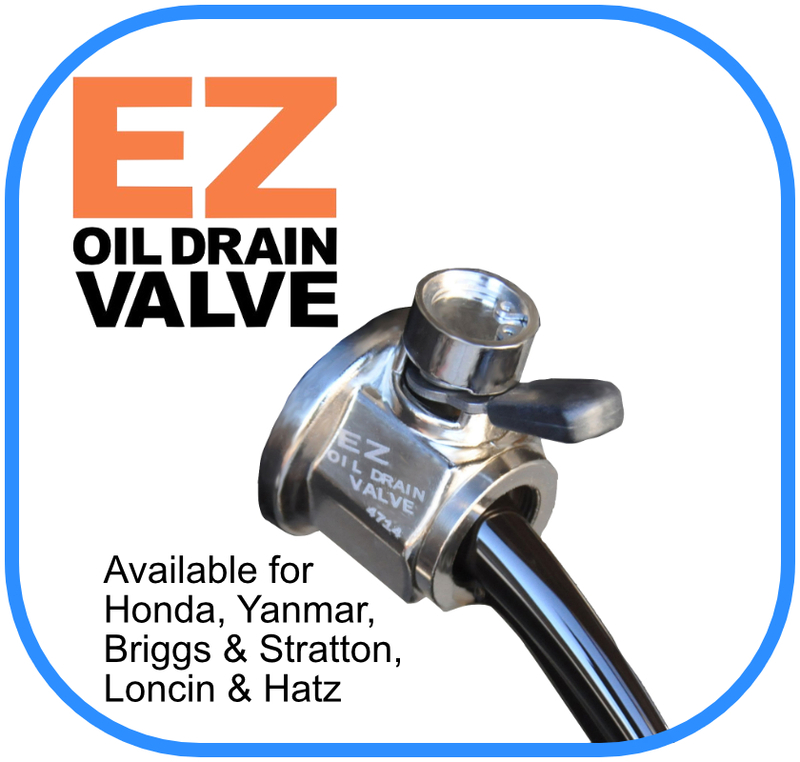 EZ OIL DRAIN VALVE Drain with a touch of your finger! Once installed this valve will drain your engine oil without the need for tools whilst keeping your workshop squeaky clean. Just lift the lever of this solid brass ball valve and give a ¼ turn to open it. Returning the lever to it’s original position locks the double sealed valve to prevent leakage. ROBUST DESIGN Manufactured from corrosion resistant brass and stainless steel the ball valve offers full bore flow for efficient drainage and a perfect double seal when closed. PROBLEM SOLVED Seized up drain plugs and stripped threads are eliminated for good! Simply tighten the EZ Drain to the recommended torque setting and the nightmare of oil covered frames becomes a thing of the past. Servicing time is thus greatly reduced, technicians no longer coming into contact with hot oil reducing risk along with the cost of overall maintenance. PLENTY OF OPTIONS Available with a range of removable hose ends, adaptors and end caps to allow installation in the tightest of spaces to prevent hoses from kinking, supplied with standard ⅜ hose hose caps prevent sand and detritus entering the valve hose. Hand Install the valve until tight and tighten fully with the appropriate sized spanner to the torque setting required. (20-22nm) NEVER over tighten. Close the lever and refill with clean engine oil.